Meet Your Neighbor: Delores Gray — Campus District Inc.
Care Alliance is a nonprofit health clinic mainly geared toward serving folks that are experiencing homelessness or that are low-income, but is open to anyone and everyone. The clinic has four locations throughout the Cleveland area, including in the Central neighborhood, right outside of the Campus District. Care Alliance offers a multitude of services ranging from dental care, behavioral health counseling, general adult and child care, and homeless outreach just to name a few. 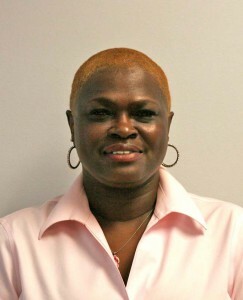 As a Community Engagement Coordinator for the Care Alliance Health Center located in Central, Delores Gray is constantly out in the community educating residents on the array of health services the clinic offers. Delores spends a lot of her work time tabling at a variety of events throughout Central and beyond, including libraries, rec centers, CMHA complexes, churches, schools, and prisons. She’s often times the first face residents come in contact with from Care Alliance and offers a strong knowledge not only of the services the clinic offers, but of what other services are available in the community. Delores has spent a good chunk of her life living in the Central neighborhood and she knows a lot about what the area has to offer through her heavy involvement in the community. She grew up in the neighborhood and graduated from East Tech High School, then moved away for a bit, but eventually found her way back to the neighborhood to where she lives now in the Cedar High Rise building. While living in Central, Delores has found countless ways to be active in the area, whether it be through different boards, clubs, and organizations. Gray is the president of the Local Advisory Council for her housing complex, the treasurer for East Tech’s Alumni Board, sits on numerous boards for multiple organizations, and works closely with Councilwoman Phyllis Cleveland and Ward 5. Delores has also won multiple resident awards, including a Resident of the Year award from Campus District back in 2011. For Gray, being involved and serving the community has come as natural. “I love being able to give people the answer they need with heart and compassion,” Gray says. Being so in tune with the community and residents, Delores feels that she serves as a voice for everybody and that she needs to speak up to get residents what they need. Moving forward, Gray hopes that folks living in the Central neighborhood can have better access to information and resources to positively benefit their lives. Gray believes that the Central community deserves more access to healthcare and clinics like Care Alliance and believes the children in the area deserve to really feel like they learn.